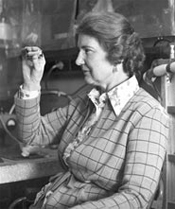 Kathleen Rachel Makinson (nÃ©e White) was the first woman at CSIRO to become a Chief Research Scientist (in the Division of Textile Physics) and also, at the time, the first to hold the position of Acting Chief. She was an authority on wool felting friction and shrink proofing. Dr Makinson held a Bachelor of Arts and a PhD, both from Newnham College, Cambridge, UK. In 1981, she was elected a Fellow of the Australian Academy of Technological Sciences and Engineering and in 1982 she was made a Member of the Order of Australia (AM).